Shropshire's Holiday Brownie scheme offers girls the chance to try out Brownies. Girlguiding Shropshire is pleased to report on another successful Holiday Brownies programme, which took place last week. 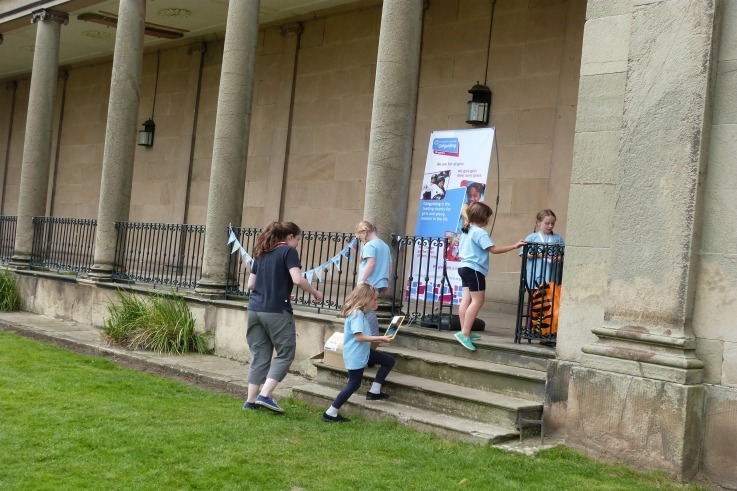 Five girls from across Shropshire were able to get a taste for what Brownies can offer them, at a three day event held at Attingham Park, near Shrewsbury. Open to girls who are of Brownie age (7-10 years old) and who don’t currently have a space at a Brownie unit in the county, Holiday Brownies is a scheme which Shropshire have been running for the past twelve months during school holidays. The girls were able to take part in numerous craft, sports and outdoor activities, as well as developing an understanding of the Brownie programme and the opportunities available to them as part of the unit.